Home Numerology Angel Number Meanings Quadruple Digit Angel Numbers Meanings Angel Number 1616 Meanings – Why Are You Seeing 1616? Sometimes the same numbers seem to show up everywhere. You are woken up in the morning by an important phone call and see that the number ends in 1616. Sitting on the train to get to work, you notice that the barcode on your ticket ends in 1616. Near the end of the day, someone bursts into your office with important news. You look at your computer and notice that the time is 16:16. Is this all just a coincidence, or is this number important in some way? Learn the meanings of the quadruple digit Angel Number 1616 today. What does Angel Number 1616 mean for Love? When we need guidance in our lives, often Angels, beings that live in the spiritual plane, will choose to provide it. It is extremely difficult for them to communicate with us directly, so instead they will nudge us to notice things in the world around us. Often, they will nudge us to notice numbers as each number vibrates with its own meaning, which we can decipher. This means that they can be used to send specific messages. If you see the same number appearing several times over a short period of time, this may well be an Angel trying to tell you something. What could Angel Number 1616 be trying to tell you? Angel Number 1616 can often be revealed to us when we need to be more assertive. In some way we are letting other people make important decisions for us, and we need to take back that power. While respect and compromise are important, we should never let someone else decide what is best for us. It is time to tell someone, perhaps your boss, partner or a parent, that you want something different. They will respect you for it in the long run. Being part of a relationship, a community or a team often means sharing responsibility for certain things. Unfortunately, we often see a small number of people doing more than their fair share. Angel Number 1616 can appear to suggest that you, or perhaps someone close to you, is taking on too much. This is not good for you, as it can lead to burn out and resentment, and not good for the relationship or team, which will benefit from more hands and minds being brought to the challenge. Rebalance your commitment. Sometimes we are ready for a new opportunity, but we are held back as we wait for people around us to be ready as well, so that we can move forward together. 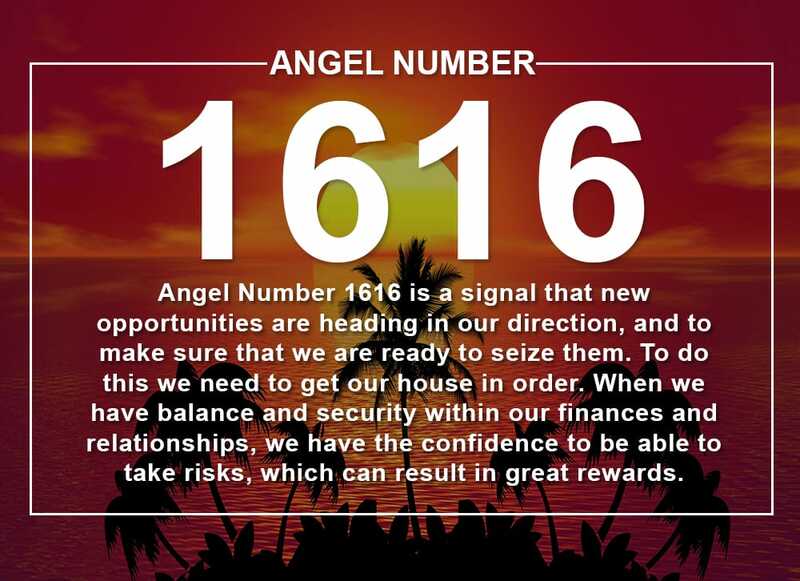 While sometimes this is the right thing to do, if you are seeing the 1616 Angel Number it suggests that the opportunity that is currently presenting itself is for you alone. Don’t wait for others to be ready, and also don’t share the glory if this is something that you can do on your own. In this case, be a little selfish. When appraising opportunities and situations we often focus on what we will gain from getting involved and moving forward. 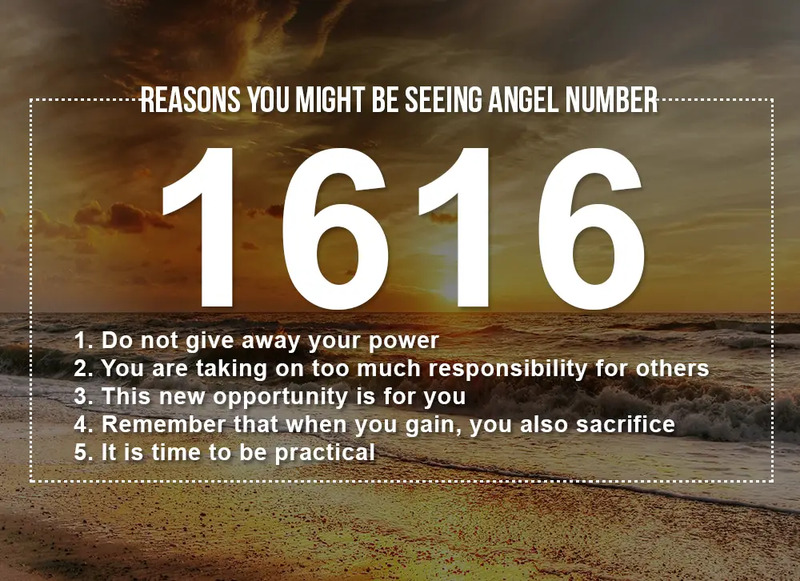 Angel Number 1616 can appear as a reminder that no person can have everything, and to remember to take into account what you will need to sacrifice. A new job opportunity may mean more travel but also more hours in the office and less time with family. A new course of study will help you grow as a person, but probably also means financial sacrifices. Grasp your opportunity, but prepare yourself for the downside as well as the up. Having big dreams is important. If you dream small you will only ever achieve small. If you dream big you will go far, even if you only get half way there. But there is also no point in just dreaming and wishing. Angel Number 1616 can suggest that if you really want something, it is time to get practical. Want to buy a house? It is time to develop a proper saving plan for that deposit. Want a new career? It is time to dedicate some of your free time to developing the new skills you need, and time to start networking. If you want your dreams to come true, you will need to execute a practical plan. Angel Number 1616 often suggests that a new relationship is on the way, or that we are about to enter a new phase of an existing relationship. This is always an exciting time. But if you see 1616, it is also a reminder to present your true face to those around you and not to filter or change yourself for someone else. A true partner wants to love you for who you are, not who you pretend to be. 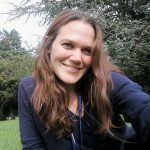 The messages from Angel Numbers can often seem cryptic, because the meaning of each number is multifaceted, and our individual lives and challenges are all unique. To understand what an Angel Number means for you, remember that it will be revealed to you within a context that will help you understand its meaning. Take note of what you were thinking or doing when you noticed the number. Use this as the key to decipher its meaning. Taking a closer look at Angel Number 1616, it is a combination of the number 1 intertwined with the number 6, with their meaning amplified by their double appearance. It is also linked to the number 5, as in numerology numbers are often reduced to their signal digital cardinal number. In this case 1+6+1+6=14, which is further reduced to 1+4=5. The number 1 is the first of the cardinal numbers and as such represents new beginnings and opportunities. It also represents a singular mind in terms of leadership and ambition. The number 1 is also the number that embodies the creational forces of the universe. But these forces are not something that happen to us. We are all part of this creational force with the decisions we make and the actions we take. As such, we are the leaders of our own lives. The number 6 is linked with the material world. It is linked with things that we would consider ‘material’ such as our career and material wealth. However, the number 6 is also linked with The Lovers card in the Tarot and as such also refers to our worldly relationships and responsibilities. 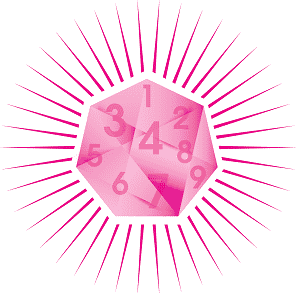 As one of the even numbers, it is also linked to ideas of balance and duality. Finally, it is a reminder that self-love is a prerequisite for all other love. The number 5 is the number of independence. It relates to our spirit of adventure, but more importantly, our need to be our own person. While relationships are important, we need to lead our own lives. We need to make decisions based on our own beliefs and core values, and not simply follow the herd. However, independence has consequences, and we must live with the consequences of our actions. Angel Number 1616 is a signal that new opportunities are heading in our direction, and to make sure that we are ready to seize them. To do this we need to get our house in order. When we have balance and security within our finances and relationships, we have the confidence to be able to take risks, which can result in great rewards. Taking risks often means sticking our neck out on our own, and we should not be afraid to stand out from the crowd. But remember that when we gain something, we often lose something else, and these are consequences of the wheel of life that we simply need to live with. Do you seek guidance and insights into the past, present and future, with regards to relationships, love, or money? 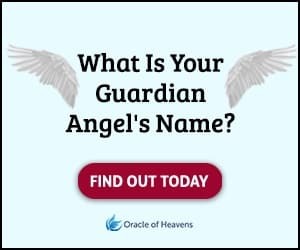 If you are frequently seeing the 1616 Angel Number, take this popular free test to see whether your Guardian Angel is trying to send you an urgent message. Keep seeing 1616 everywhere? Angel Number 1616 is a signal that new opportunities are heading in our direction. Learn the important meanings today!